Mineral complexity and structure designed to challenge the passage of time. Riserva Coppo is the most important spumante produced in our cellar. Coppo presents the 2010 vintage at Dusseldorf ProWein, a turning vintage for all the spumante produced by Coppo. As a matter of fact, from 2010 the company decided to focus on vineyards located on higher altitudes. Bearing in mind the progressive increase of temperatures, the objective of obtaining a fresher wine and a specific vision of the winemakers, 80% of our grapes are harvested in vineyards at heights, between 270 and 450 m.a.s.l., in the Asti area of Langhe, above Cassinasco, and in Bormida Valley. Among all the Traditional Method spumante produced in our cellar, Riserva Coppo stands out as a wine for those who love strong personality, elegance and structure. These two latter traits are now supported by a greater acidity: the 2010 vintage, particularly fresh, highlights this specific aspect. Riserva Coppo is made with 80% Pinot Noir and 20% Chardonnay, hand collected in 20kg boxes from the healthies and ripest bunches. 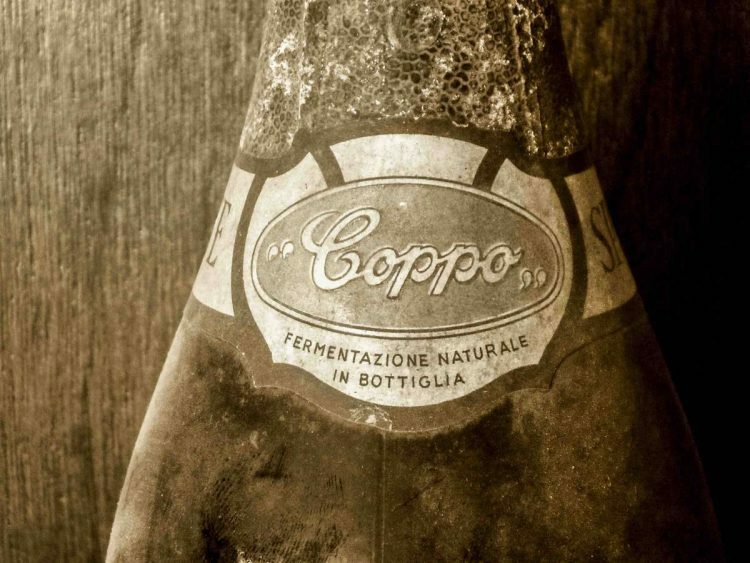 Characterized by soft-pressing and barrique fermentation, Riserva Coppo is a wine worth waiting for. It takes 9 months of aging on fine lees in French oak barrels with several batonnages, followed by 60 months of bottle refinement and the traditional method of capturing the sparkle. The color is a straw yellow with golden shades, enriched by a very fine perlage. The nose reveals hints of bread and yeast, the mouthfeel is dry and elegant. 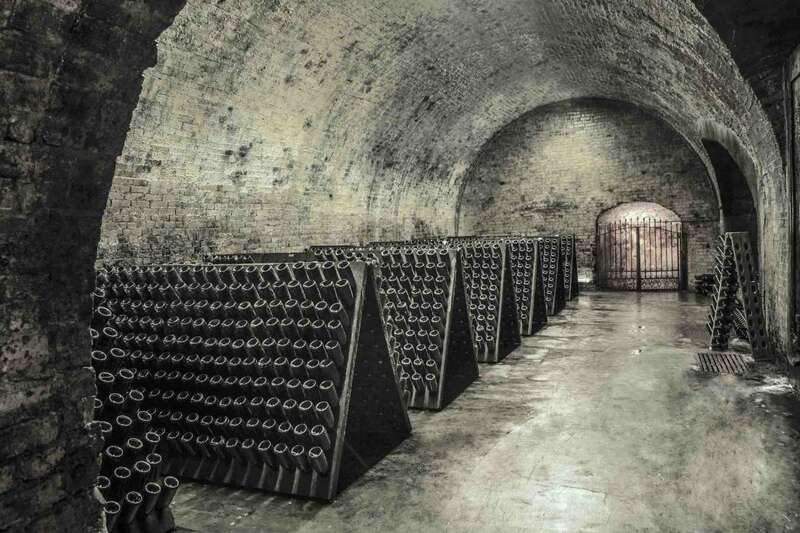 The production is limited to just 15000 bottles per year. This is a spumante pairable with a whole meal: appetizers, first courses with white meat or light ragù, main courses of fish or grilled meat. Coppo srl, acting as Data Controller of your personal data, pursuant to the EU Regulation 2016/679 hereafter referred to as ‘GDPR’, hereby informs you that the aforementioned law provides for the protection of data subjects regarding the processing of personal data and that data processing will be based on principles of correctness, lawfulness, transparency and protection of your privacy and your rights. Your personal data will be processed in accordance with the legislative provisions of the aforementioned law and the obligations of confidentiality laid down therein. to provide information on future commercial initiatives, new products, services, offers, and events on our part and on behalf of affiliated and / or subsidiaries and commercial partners. The processing of functional data for the fulfillment of these obligations is necessary for proper management of the relationship and their conferment is mandatory to implement the purposes indicated above. The Data Controller also states that in the case of non-communication, or incorrect communication of any of the mandatory information, may result in the Data Controller’s inability to guarantee the adequacy of data processing. • processing by electronic calculators. All data processing is carried out in compliance with the methods set out in Articles. 6 and 32 of the GDPR and with the adoption of appropriate security measures. Your data will be communicated exclusively to competent and duly appointed persons for the purpose of providing the services necessary for proper management of the relationship, with a guarantee of protection of the rights of the interested party. Your personal data will not be shared in any way. • EU and non-EU countries. Please note that, in compliance with the principles of lawfulness, purpose limitation and data minimization, pursuant to art. 5 of the GDPR, your personal data is retained for a period of time that does not exceed the services provided. The Data Controller, according to the Law, is Coppo s.r.l. 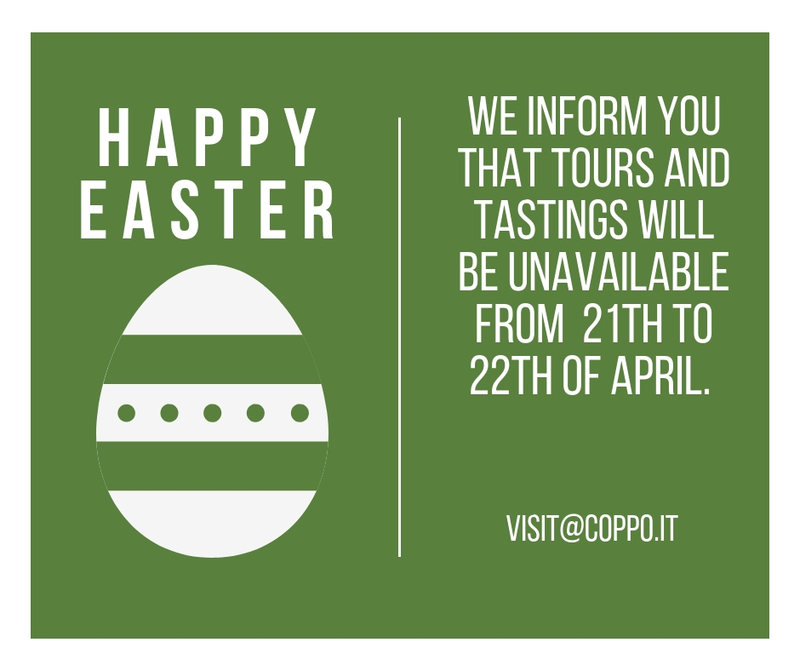 – headquartered in Canelli, via Alba 68 tel.- fax +39 0141 823146 – mail info@coppo.it C.F. and P. IVA P.iva 00078410057 – in the person of the CEO pro tempore. You have the right to obtain, from the holder, the cancellation (right to be forgotten), limitation, updating, correction, portability, and opposition to the processing of personal data concerning you. As well as, in general may exercise all the rights provided from the articles 15, 16, 17, 18, 19, 20, 21, 22 of the GDPR. 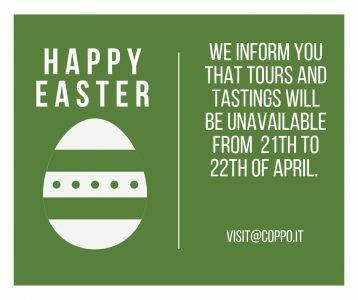 For more information and cancellation options, contact gdpr@coppo.it. 1. The interested party has the right to obtain confirmation of the existence or not of personal data concerning him / her, even if it is not yet registered, and their communication is in an intelligible form. e. the subjects or categories of subjects to whom the personal data may be communicated or who can learn about them as an appointed representative in the territory of the State, managers or agents. b. the processing of personal data concerning him/her for the purpose of sending advertising or direct sales material, or for carrying out market research or commercial communication. Coppo srl, as Data Controller of your personal data, pursuant to and for the effects of the EU Reg. 2016/679 hereafter referred to as ‘GDPR’, hereby informs you that the aforementioned legislation provides for the protection of data subjects with respect to processing of personal data and that data processing will be based on principles of correctness, lawfulness, transparency and protection of your privacy and your rights. Personal data will be processed in accordance with the laws in force and in particular of the aforementioned law and the confidentiality obligations laid down therein. The provision of data is optional for you regarding the aforementioned purposes, and your refusal to data processing does not compromise the continuation of the relationship or the adequacy of the treatment itself. All data processing is carried out in compliance with the methods set out in Articles. 6 and 32 of the GDPR and through the adoption of the appropriate security measures. Google Analytics: Target advertising, Analytics / Measurement, Optimization. Since each browser – and often different versions of the same browser – differ significantly from each other or if you prefer to act independently from your browser settings, you can find detailed guides for your browser and common browsing modes at www.cookiepedia.co.uk. Advertising companies also allow you to opt out of receiving targeted ads, if you desire. This does not interfere with or prevent changing your cookie settings, but does interrupts the use and collection of some data by these companies.